Owls eat small mammals including mice, shrews and voles which they swallow whole. 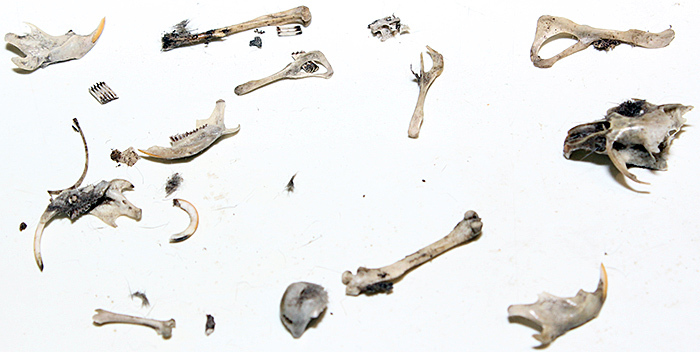 The owls cannot digest the bones and fur of their prey, so they compress them into pellets and cough them up (regurgitate is the technical term) a few hours later. 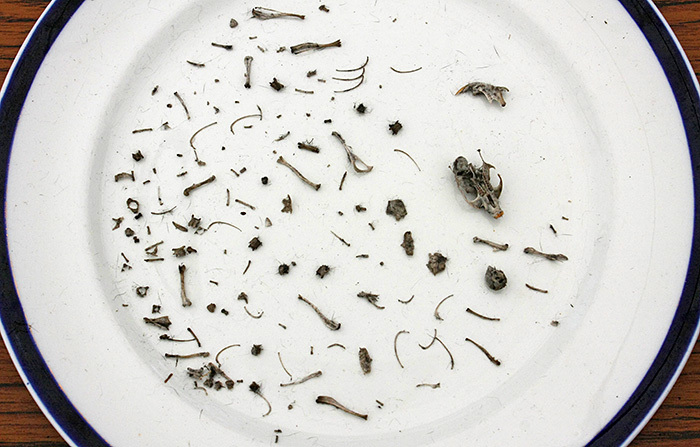 Each owl pellet can contain the remains of 4–5 small mammals, and by dissecting the pellets and examining the bones (particularly the jaws) you can tell which creatures the owl has eaten. Owls produce 1 or 2 pellets per day, and if you can find where an owl roosts or nests you can collect pellets from the ground. The bones are mixed in with the fur, but with patience, care and some forceps (tweezers) you can pick out the bones from the pellets. 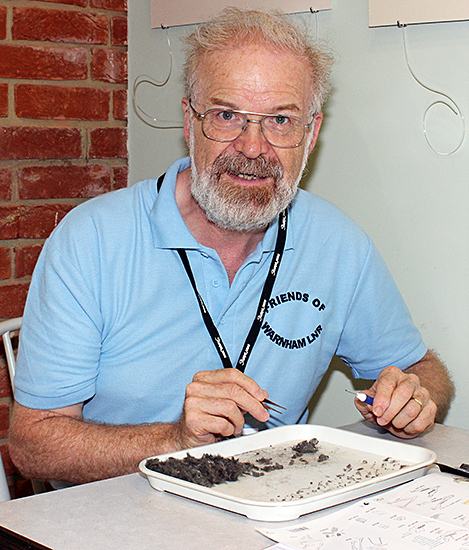 Some of the bones are very small, so a magnifying glass on a stand, or a stereomicroscope, makes it easier to pick them out and remove hairs. What tools do you need? Definitely one pair of forceps (tweezers), two pairs can be useful, and a couple of cocktail sticks. Have a look at the small tools sold for people who make models, and you may find other useful tools. A magnifying glass on a stand can be useful, so that you can look through it and still use both hands on the pellet. A stereomicroscope is even better, because most of them have 50–100 mm working distance and variable magnification. Are owl pellets safe to handle? Yes, but they are not clean, so wash your hands and tools with soap and water afterwards, and do not use plates or bowls that are used for food.